Ram Nath Kovind will be the 14th President of India. New Delhi: Ram Nath Kovind will be India's 14th President. The NDA's candidate today defeated former Lok Sabha Speaker Meira Kumar by receiving nearly two-thirds of the votes from the country's lawmakers. 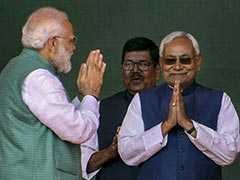 As soon as the announcement of Mr Kovind's massive win was made, Prime Minister Narendra Modi tweeted to congratulate the former Bihar Governor. "Congratulations to Shri Ram Nath Kovind Ji on being elected the President of India! Best wishes for a fruitful and inspiring tenure... Gladdened by the extensive support for Shri Ram Nath Kovind Ji among MPs and across various states. I thank members of the electoral college," he said in a series of tweets. The Prime Minister also tweeted two photos of himself with Mr Kovind, one from 20 years ago and the other from present times. 71-year-old Mr Kovind, who will be the second Dalit to hold the top constitutional position after KR Narayanan, received 2,930 votes with a value of 7,02,044, returning officer Anoop Mishra said. His opponent Meira Kumar got 1,844 votes with a value of 3,67,314. 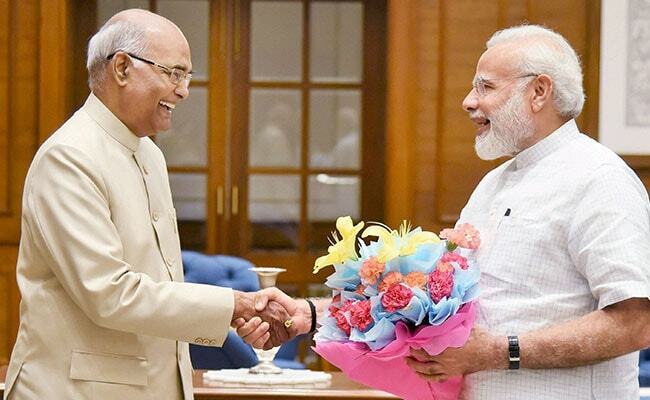 "I congratulate Shri Ram Nath Kovindji for becoming the President of India. My best wishes with Shri Kovindji as it has fallen upon him to uphold Constitution in letter&spirit in these challenging times," Ms Kumar said. BJP chief Amit Shah too took to Twitter to congratulate Mr Kovind, who is the first BJP member to be elected President. "Congratulations to Shri Ram Nath Kovind ji for emphatic victory in the 2017 Presidential elections. His victory is truly historic," Mr Shah tweeted. The presidential poll on Monday saw nearly 99 per cent voting, the highest ever, according to the returning officer. Polling was held simultaneously at 32 polling stations -- one in Parliament House and one each in 29 state assemblies and two union territories with assemblies.